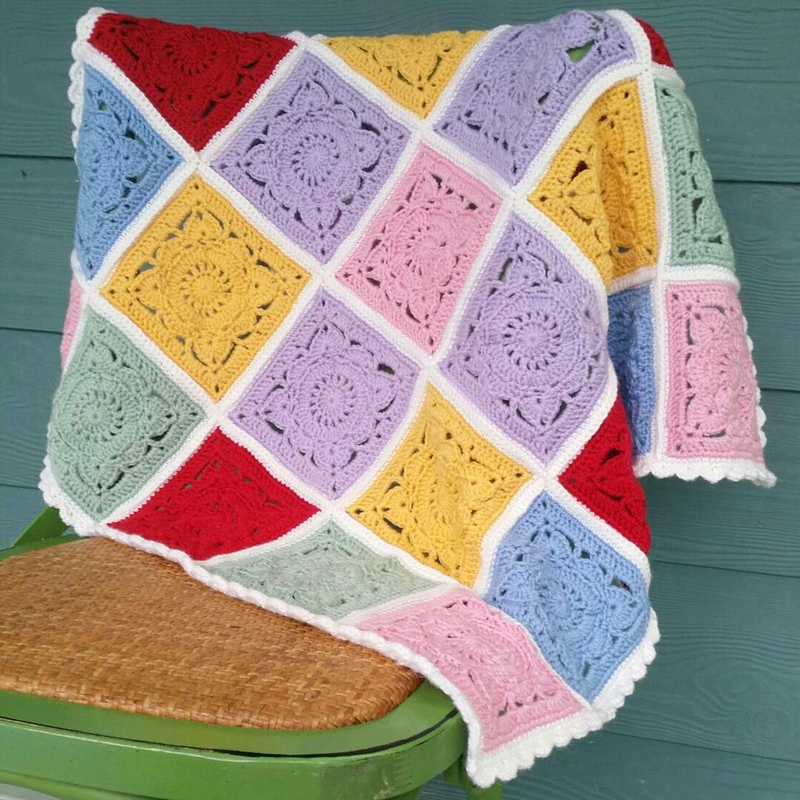 My Willow baby blanket is finished and ready to travel to its new home in Europe this week 🙂 This block is from Jan Eaton’s gorgeous book, 200 Crochet Blocks. I’ve crocheted thirty of these beautiful, unique patterns so far, and Willow is my favourite; it’s just so pretty! After much deliberation I chose a small scallop border on an sc (US) base (*sl st, miss sc, 5hdc in next sc, miss sc* repeat), with a tiny picot in each corner, which I think is such a lovely touch. 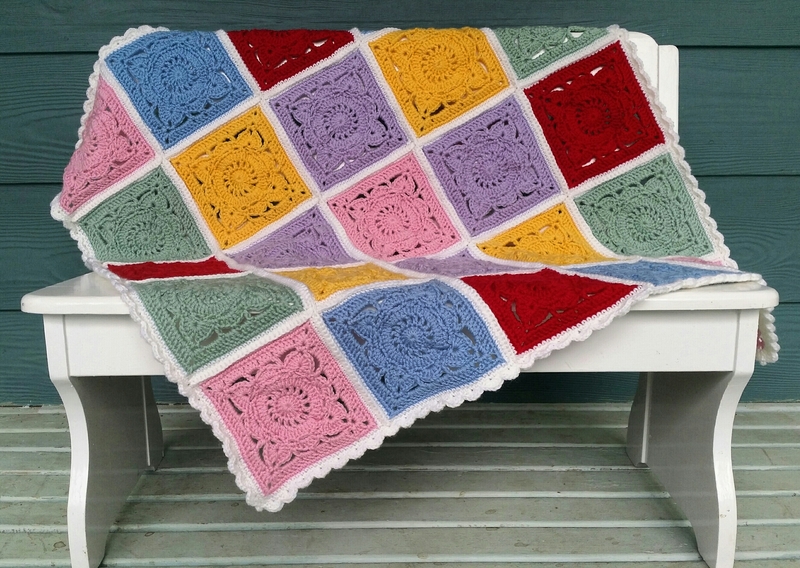 I found this edging in an article by crochet writer Kathryn Vercillo, of Crochet Concupisence. I’m sure it won’t be the last time I use it! Tip: always keep notes! I’ve made a note of my calculations for this blanket so I’ll be all set when I make another for a baby coming later this year. Pam the baby blanket is absolutely beautiful. Isn’t it such a lovely feeling to complete a project. Can’t wait to see the neon project you’re doing. Hope the weather turns around for you soon. Here in Brisbane today the sun has been shining, but rain is forecast to return tomorrow! Enjoy the rest of your day. Just stunning! The colours just pop, border is beautiful too. Where do I get the pattern or the way that you have joined? Can’t see it here on the blog!